Crafted impeccably in Italy, these elegant Kensington derby shoes are a must-have in any formal outfit. 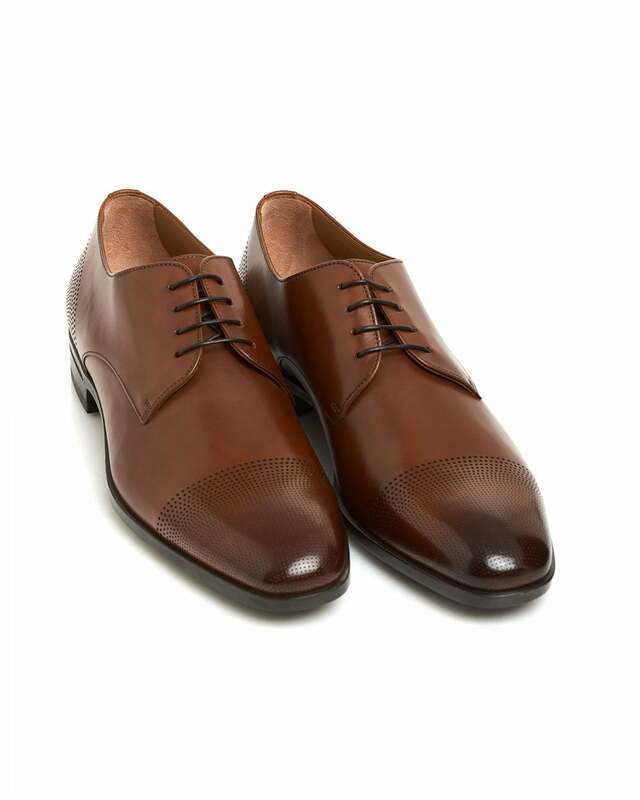 This high quality footwear features a stylish polished effect, laser-cut details and fine cognac leather lining. Combine with some trousers from BOSS for the perfect night attire.